Lets say we have 2 lists named Classroom and Students. 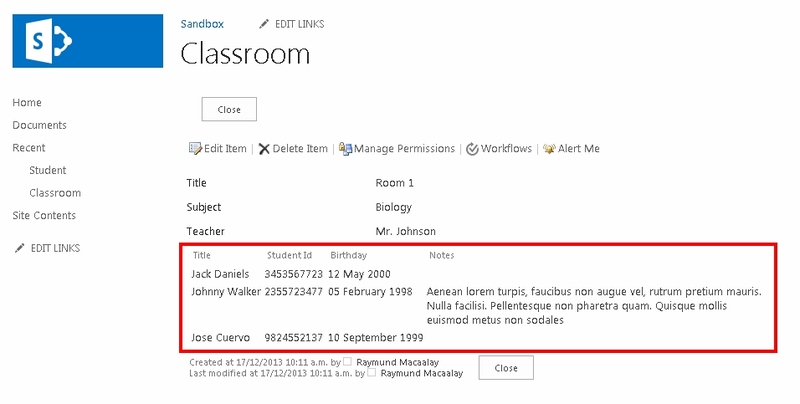 The classroom list contains all classrooms in a school with their respective names and teacher while student will contain student information including which classroom will they be placed, So in this case the foreign key relationship is in the classroom id. Once created edit it in advanced mode and you should see something like this auto-generated for you. 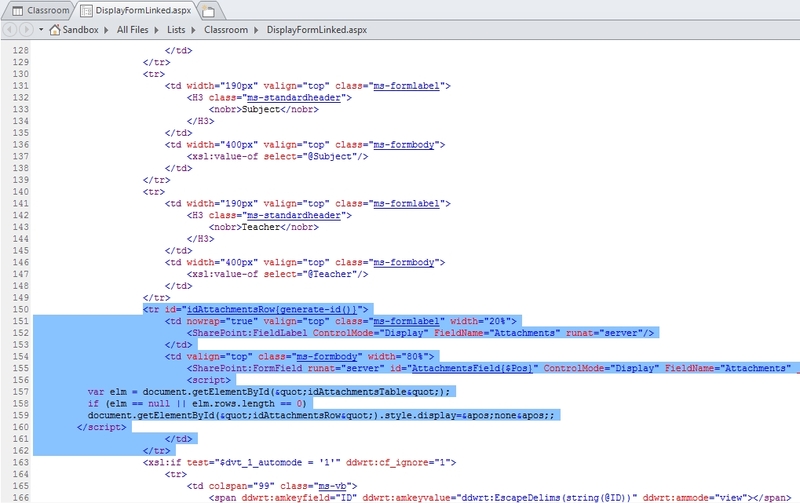 On the right hand side is the data source details if its not showing you can enable by selecting any of the table row on the code then the tabs on top should show “Data View Tools“, from there choose options then “Data Source Details“. It will warn you regarding inserting data, just click OK we just need a view anyways. 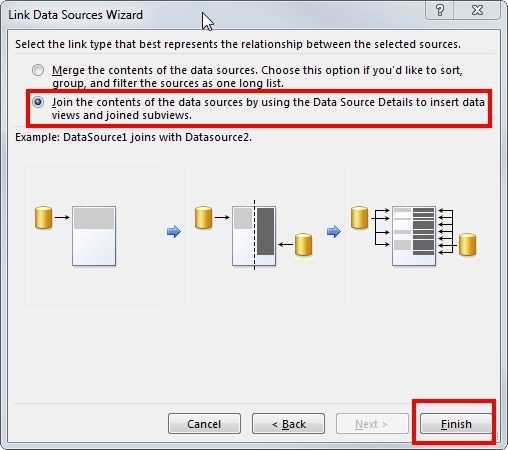 Once finished your data source details will have extra information shown, it is not yet linked at this point. The variable or parameter ‘Pos’ is either not defined or it is out of scope. 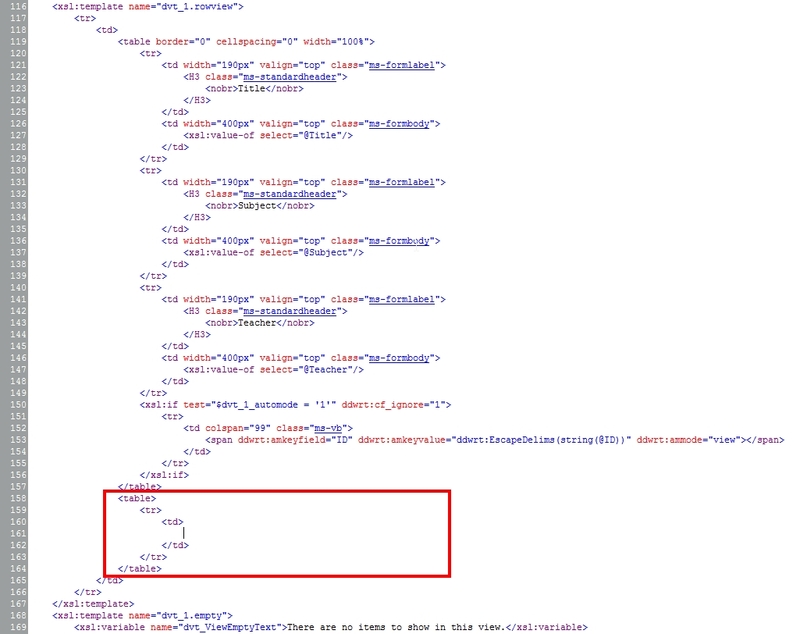 I am not sure why this happens but looking at the HTML codes it related to the attachment section (if you are using one). Removing them will make it work. 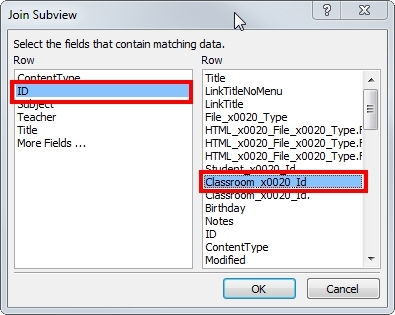 Now select all the columns you want to show then insert the selected fields as a “Joined Subview“. If it does not show which happens a lot, just click the refresh icon on top of the Data Source Details. 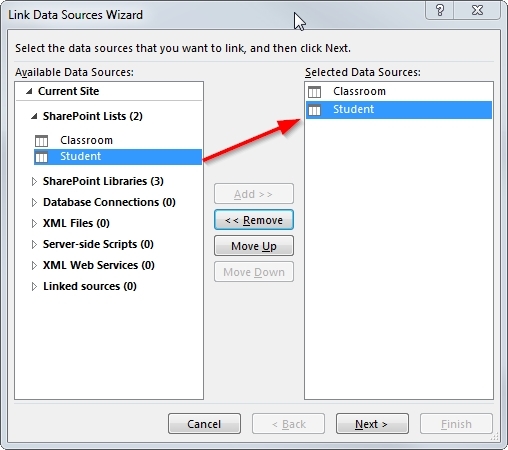 Now it will ask you where it will be linking in, you select the ID from the classroom (the list on the left side) then select the Classroom Id without the dot (.) (the list on the right side). 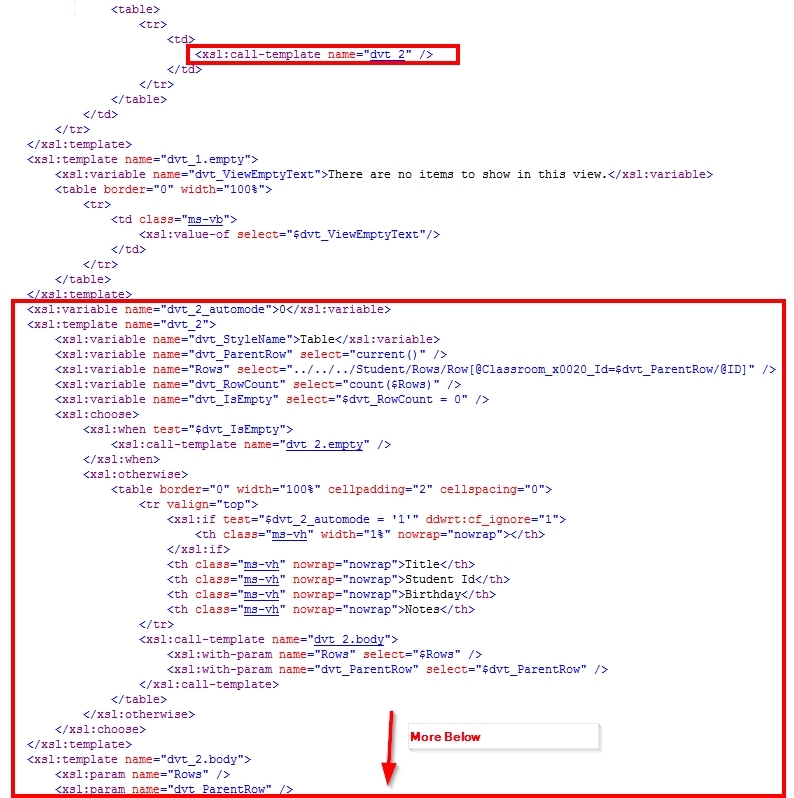 I changed the date format (for more formats have a look here http://blogs.msdn.com/b/joshuag/archive/2009/03/25/custom-date-formats-in-sharepoint-xsl.aspx) as well as word wrapping the Notes column by setting the disable-output-escaping to Yes. And after those changes your linked list items should now show like this. I am glad to stumble upon a Filipino blogger like me. I am a fan of yours, Kuya. More power to you. Great post but I have one question – is it possible to provide an edit on the linked list items? From the above solution, any idea how to create Allitems view (combined view of both list) so that I can view items together and export to excel. I want this too, did you get the solution for this? Thanks for the info. 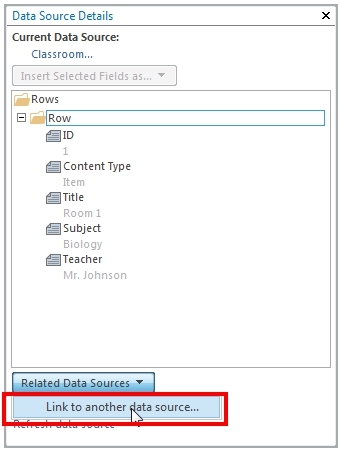 I went to do the insert and am unable to insert the selected fields – items is the only option under the insert field list and it’s greyed out along with the data source name. Any ideas why this would happen? I have the same problem – anybody who can shed some light on why this happens? Hi Raymund, thanks for this which was recommended to me by MS support :). But indeed like you, I only get the first room displayed and don’t find a way to display the others ?? ?